ACCESSORIES, APPAREL & SHOES, BABY FURNITURE, BABY GIFTS, BEDDING, CHILDREN'S & TEEN CLOTHING, CHILDREN....'S FURNITURE, TOYS, NURSERIES, RUGS, CUSTOM DESIGNS, CUSTOM MADE, DESIGNING, DECORATIVE, DESIGNER, INFANTS. Are you expecting a new addition? New parents and parents-to-be have a lot of decisions to make when it comes to furnishing and equipping kids’ rooms and nurseries. Nursery designers and kids’ decor specialists can help. 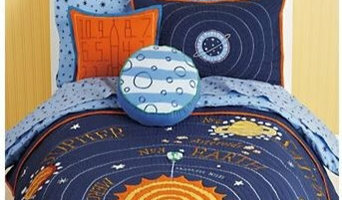 From choosing a crib to picking nursery bedding, you’ll find a wide selection of children’s room designers and other experienced professionals in Barrington, IL who can help. 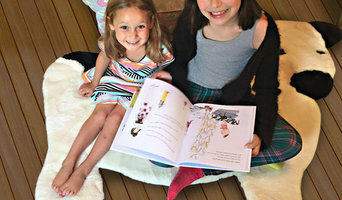 What does a Barrington kids room and nursery designer do? Most designers who specialize in decor for kids’ rooms and nurseries will tell you that a child’s room isn’t just for sleeping in. Little ones need a space where they can learn, play and sleep safely. Furniture, blinds and even lighting have to work safely for both you and your little one. Whether you’re hunting for small or large brands, make sure you chat with your Barrington, IL designer to make sure that what you buy meets safety requirements. Find kids’ room and nursery professionals on Houzz. Narrow your search in the Professionals section of the website to Barrington, IL kids’ room and nursery designers. You can also look through Barrington, IL photos to find a room you like, then contact the designer who worked on it.